What are microfiche? Why were they used? What can I do with my microfiche? In our latest article we take a look at the facts about microfiche. Microfiche have been around since the early 1900s when a number of researchers suggested microphotography as a solution to storing documents. What can be stored on microfiche? As we have already mentioned, microfiche can store pages of newspapers and catalogues as well as books and large scale drawings. 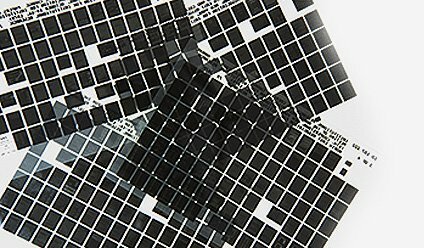 Microfiche can only be viewed by being magnified as they are too small for the naked eye to see. Microfiche readers are machines that when loaded with the required microfiche will show you blown up versions of the documents. Can I buy a microfiche reader? In our world of gizmos and gadgets, a microfiche reader will seem ancient in comparison. 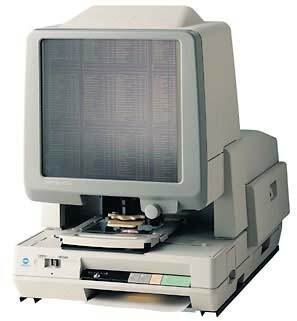 Microfiche readers can still be purchased but they are often expensive due to their age and take up a great deal of office space. What were the benefits of storing on microfiche? Before the digital age began, microfiche provided a means of storing documents in a more compact way. This meant that you could store a large number of documents but they wouldn’t take up as much space as hard copies. Libraries could expand their archives without the worry of needing to store bulky books, catalogues and newspapers. In their heyday, microfiche were used by offices and organisations nationwide across a range of industries to store important documents. Libraries, police stations and museums among others still sometimes use this method of storage however there are now more efficient ways to store documents. What alternatives are there to storing on microfiche? Now that microfiche no longer bring us the best and most compact storage solution, people have been looking for more efficient solutions to document storage and document archiving. Since we live in a digital age where most of us work on computers, it seems only logical to bring document storage into the digital age too. Microfiche scanning helps to convert the documents stored on microfiche to a digital format where they can be edited, viewed and sent much more efficiently. Here at Pearl Scan, we offer a fully bespoke microfiche scanning service which scans and converts your microfiche to digital formats and makes them fully text searchable through OCR software to help you access your documents quickly and easily. With microfiche scanning, you can save on the cost of buying, storing and maintaining microfiche and the equipment needed to view them. If you would like some more information about our microfiche scanning service or for a free, no obligation quote for your scanning project, get in touch today and speak to a member of our friendly and experienced team. For more facts about microfiche, check out our microfiche scanning website.